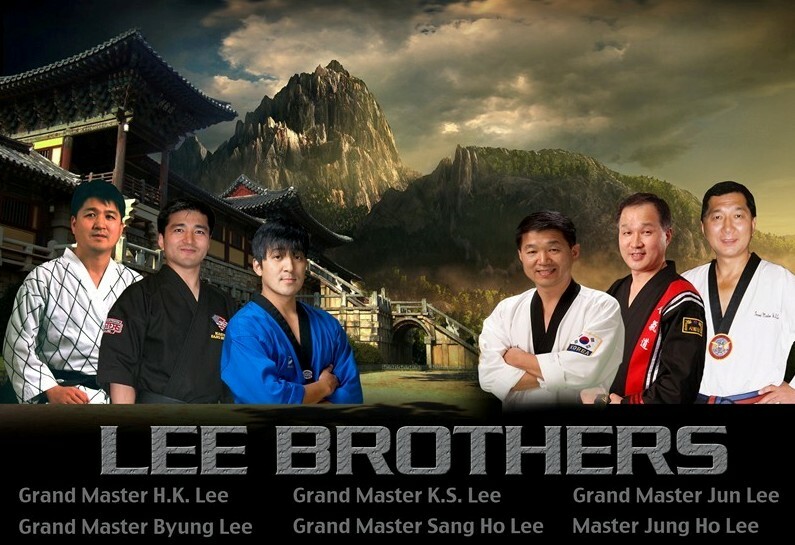 The Lee Brothers includes Grand Master H.K. Lee, Grand Master K.S. 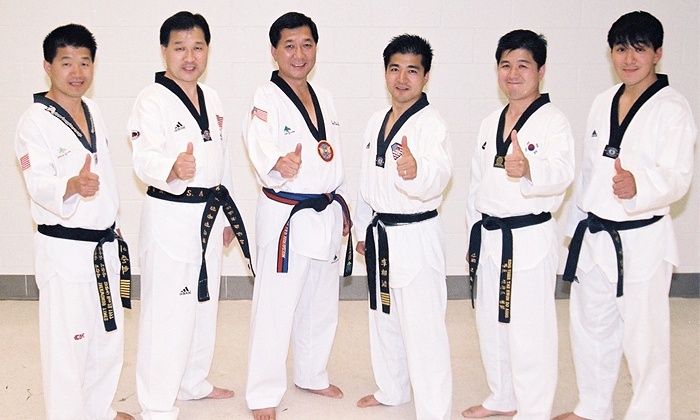 Lee, Grand Master Jun Lee, Grand Master Byung Lee, Grand Master Sang Ho Lee, and Master Jung Ho Lee. These highly trained and internationally reputable Masters came from Korea to share the knowledge and training methods with their followers in America. Grand Master H.K. Lee, a true pioneer and leader in Tae Kwon Do first settled in Herndon, VA, in the late 1970′. His foresight and expertise led him to develop a highly successful academy, and his skills in teaching and performance have made him famous throughout the world of Tae Kwon Do. With his guidance all of the other brothers joined him in the United States on December 24th 1986. Grand Master Jun Lee branched to Raleigh , NC in 1987, Grand Master K.S. Lee to Cary, NC in 1987, Grand Master Byung Lee to Greenville, NC in 1988, and Grand Master Sang Ho Lee to Garner, NC in 1989- April 1991. Grand Master Sang Ho Lee has been operating an academy in Burlington, NC since 1991. Finally, Master Jung Ho Lee has been in Raleigh, NC since 1988. When the Lee Brothers first came to NC, Tae Kwon Do was barely known throughout the state. In fact, most people had no idea what Tae Kwon Do was. Since then, the Lee Brothers put much effort and energy in promoting the art of Tae Kwon Do to the general public. The rapid expansion of interest and participation in Tae Kwon Do in Virginia and North Carolina is in no small way due to the work and emphasis of the Lee Brothers. By putting out first class exhibitions throughout the state, holding first class tournaments, and bringing up quality instructors and competitors Lee Brothers have actively demonstrated both the power and beauty of this Korean Art. Now most of their instructors have their own schools and are enhancing the knowledge they have learned from the Lee Brothers to their followers. A visit to one of their academies will quickly show why students flock to them for instruction. Quality instruction, compassion for others, and commitment to excellence both physically and morally are readily apparent.